Correctly matching color takes time, sometimes weeks. However, your customers can’t wait that long, so what should you do? Try and anticipate their needs and stock more products, maybe, but that doesn’t make business sense. Sherwin-Williams has the solution for your with Color Express™. The Color Express™ Powder Program utilizes an easy-to-use color matching and measurement tool that provides the closest match to more than 200 in-stock powder products. 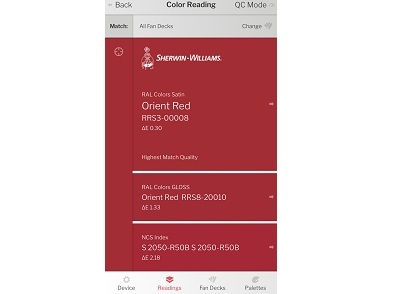 A simple click and you can match the color to a product that is available in more than 70 locations across North America. To learn more about the Color Express™ Powder Program, complete the form to be emailed the Program Overview Brochure. 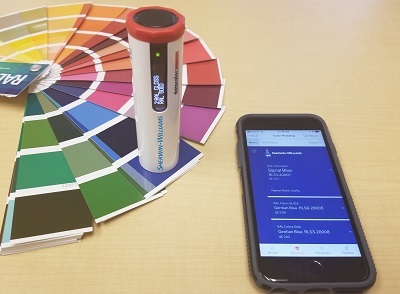 The handheld color reader links to your smartphone for more information and quality control. Closest in-stock matches shown on a smartphone. Whether you are a job shop that strives to become a true partner of OEMs and tier suppliers, or a job shop that is seeking a partnership with your coatings supplier, the goal is to be an essential resource and achieve bottom line results well beyond the coatings. Balancing day-to-day operations with improvement planning can be challenging. That’s why we developed our comprehensive Finishing Systems Sales & Services Program to simplify your process investments. 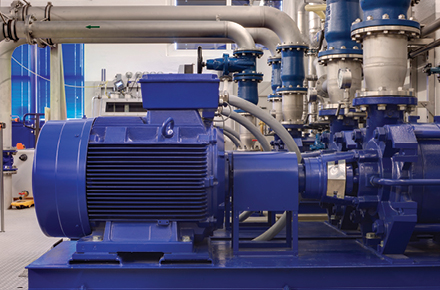 This complimentary service brings together our team — finishing systems executives, design engineers, technical representatives, leading equipment partners — and our ProVisions™ offering of supplies and equipment for a truly comprehensive, custom-fit equipment and finishing solution. The Product Finishes division is dedicated to the unique finishing needs of OEMs, tier suppliers, specifiers, global brands and product finishers. Learn more about the markets we serve. As your partner, we work hard to solve your every day finishing challenges. That means we deliver the industry’s most comprehensive, innovative solutions across all areas of the finishing process. 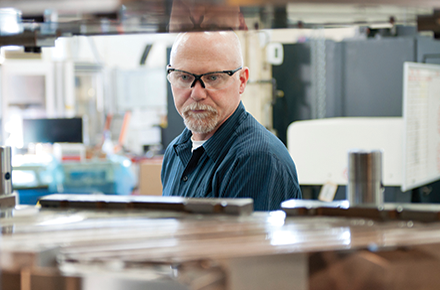 Because our people understand what matters most to OEMs and product finishers, we bring you the coatings, knowledge, tools, and support that make the difference. For a better finish, ask Sherwin-Williams.